EasyBD's User Interface is divided on several separated elements that allows the user quickly and comfortably enter all data during BD creation. 1. 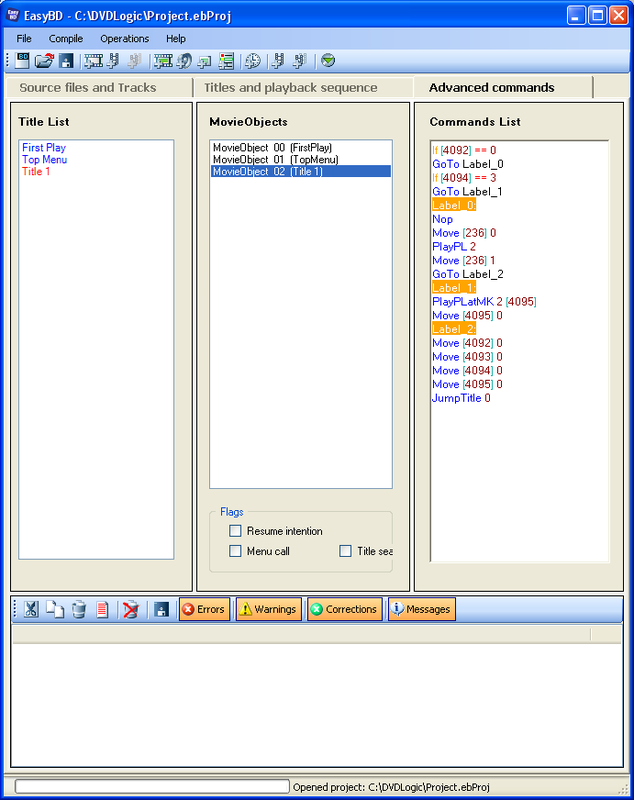 Source files and Tracks — this panel shows all source files, languages, order of streams, chapters times, tracks list and allows user create new Track from zero adding files manually through OpenFile dialog. 2. 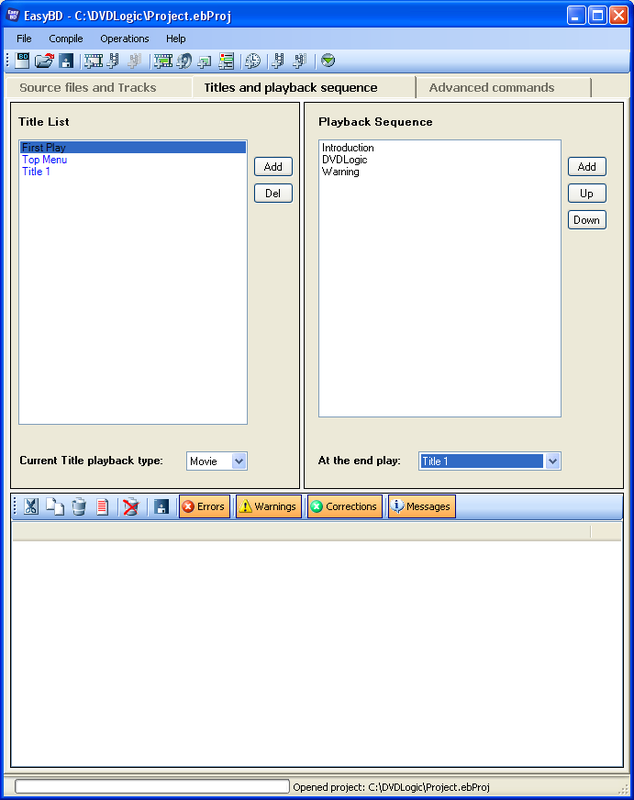 Titles and playbakc sequence — this tab allows create new titles and set playback order for Tracks. Here you can also attach Tracks to Titles. FirstPlay and TopMenu elements must be set here. 3. Advanced commands — this tab is only for advanced users and allows write code with navigations commands very close to BD specification. 4. 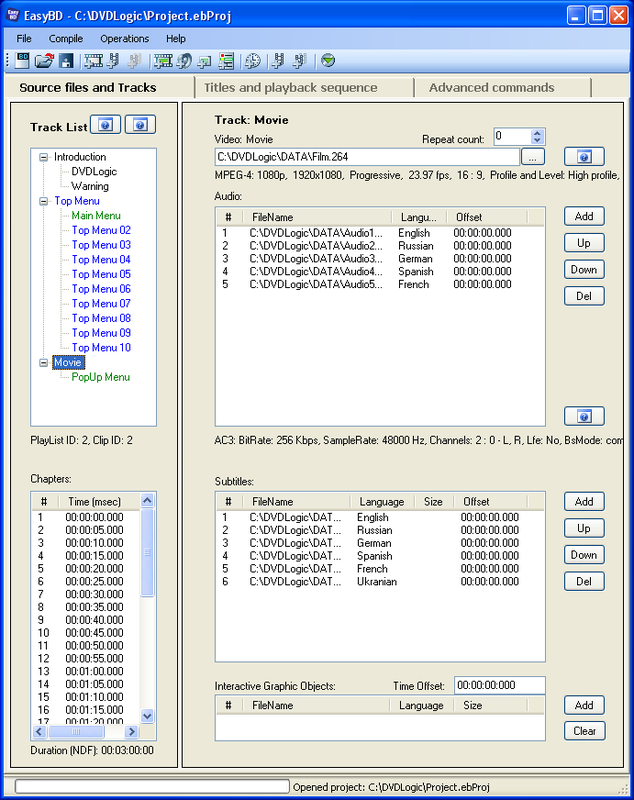 File Properties Info — EasyBD analyzes and parses absolutely all audio and video formats used in Blu-Ray. You can see all useful format information here.